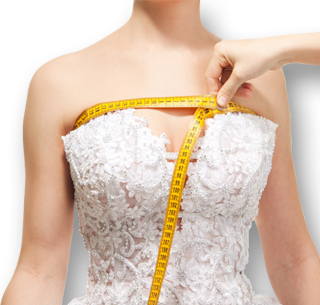 We specialise in high quality wedding dress alterations, taking care of all your bridal alteration and evening gown alteration needs including restyling, remodelling, made to measure and general repairs. With over 40 years of proffessional experience altering designer bridal wear, privately and within some of Liverpool's finest bridal shops, you can be assured that your dress will be a perfect fit on your special day. Changed dress size in preparation for the big day? Ordered your dress online or is it ‘once worn’ and needs altering? Inherited a dress and need it re-modelled? Got a mother of the bride dress that needs to be taken in or restyled? ... I can help you. 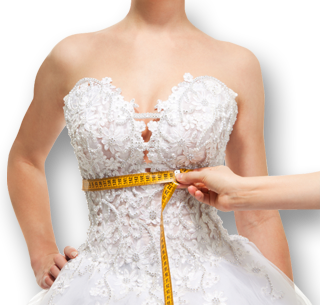 For more information on wedding dress alterations call us now on: 07778457866 or email us. Fill out the quick quote form today and we will contact you.